Now I can report that Labor Inducing Cookies did not work as we had hoped. Regardless of the cookie's effectiveness, Erin gave birth to a cute bundle of joy. Welcome, Baby Camilla! 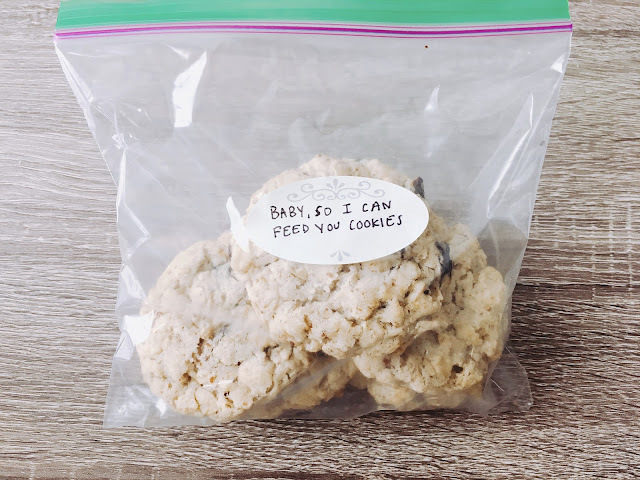 And so to help Erin ease into motherhood, I baked some Lactation Cookies. The key ingredient to help any new mama produce milk is rolled oats. And what better way to consume oats than inside a delicious cookie--and they help fuel a nursing mom. 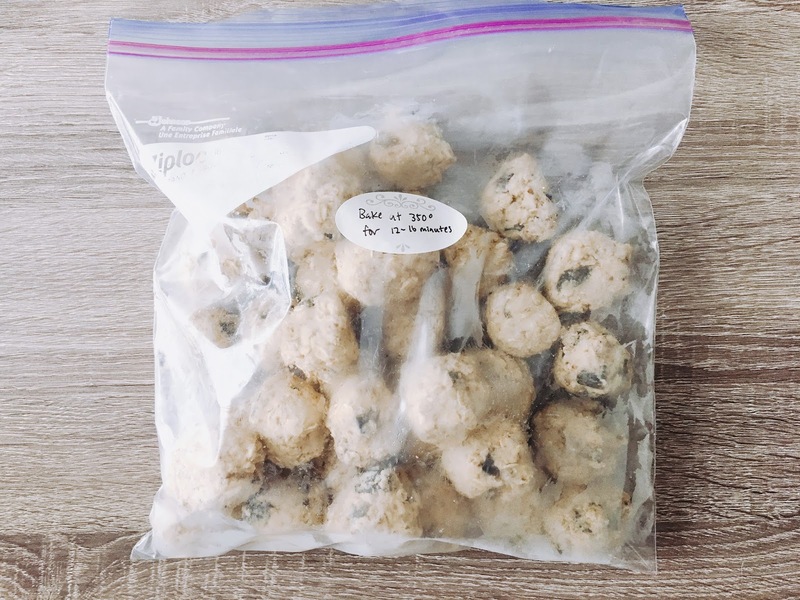 I followed the advice of the recipe and baked a few and froze the rest into dough balls to be baked whenever Erin has a craving for the cookies. This ensures a whole baked batch doesn't dry out and they stay fresh and delicious. Of course I had a sample of the cookie. They're basically super tasty oatmeal chocolate chip cookies. So after baking Labor Inducing Cookies, don't take off those oven mitts yet---whip up a batch of these lactation cookies too! 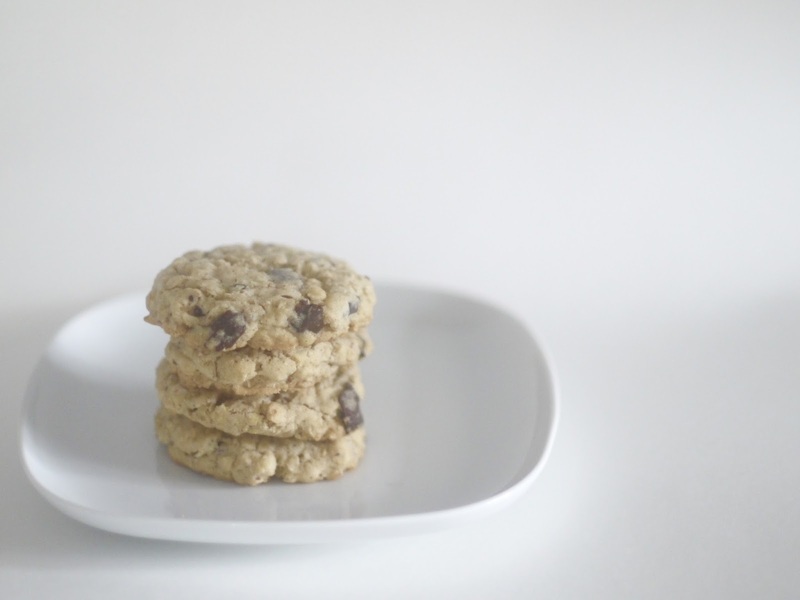 The Recipe: How Sweet Eats's Lactation Cookies. It calls for lots of organic ingredients but if you don't have them, you can substitute non-organic variations. And I found brewer's yeast in my local grocery store's bulk section.